All Muslims, Atheists and all other religious who want to learn the true words of Allah! Pay attention because I will unite you all! My words are written with the help of God. Allah is God. Allah is Oneness, pure love and truth. I have many names. Mahdi is one of my names. Another name is Maitreya. My name is not important, but my teachings are. Imam means teacher. I am the teacher many of you have been waiting for, some will call me prophet. Anything I am called is approved. The authenticity of my teachings will be found in the teachings themselves. I am a man, just like any man, just like Jesus and Mohamed, therefore I am not perfect and I do not ask for perfection from myself or from you. The important thing is your focus and your intentions. These are the teachings for these times we live in. You must follow with an open mind and an open heart! Therefore it is good if you sit alone and breath deeply and read slowly and take pauses when you read. If you get angry when you read the words of Allah then this is normal. Allah does not speak what you like to hear always. Truth from Allah can be difficult for the ones who resist truth. See this difficult anger or hatred as something positive that will make you come closer to Allah when you overcome the difficulty and begin to understand. This message is for all of you. I am here to help Allah and all of us together to save humanity and create balance with nature because you have knowingly or unknowingly destroyed nature too much now. All prophets approve of drawings of them, also me and all prophets would approve of any caricature made of them. We do not fear truth nor lies. Only one thing makes us angry and that is evil greedy monkeys not following Allah and destroying nature. 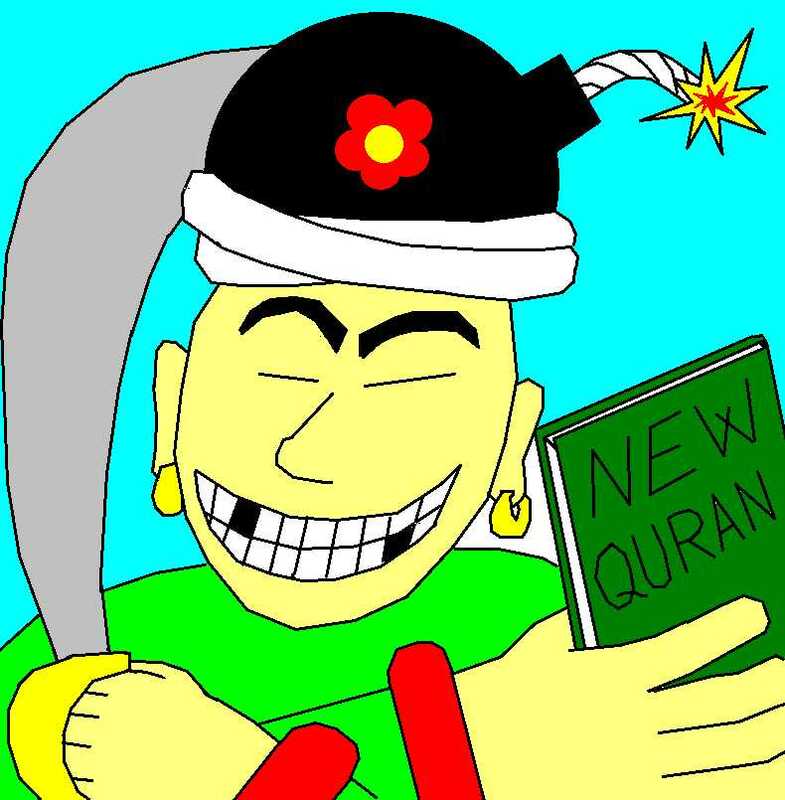 As the prankster I am I therefore here make the first caricature of myself so that all of you may focus more on the message from Allah, not caricatures.